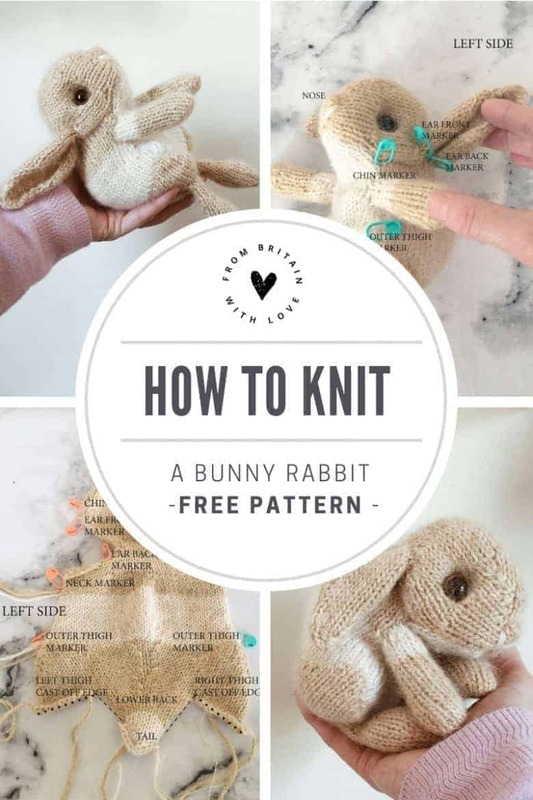 How to knit an Easter bunny – free pattern and step by step tutorial. 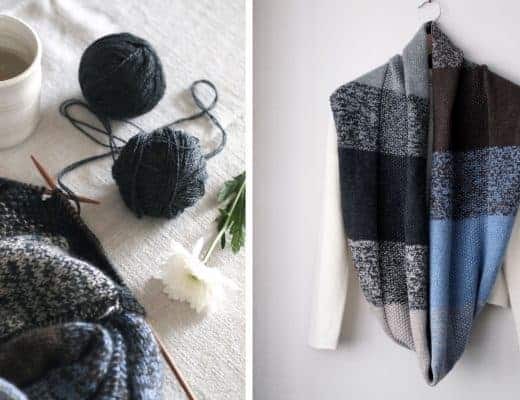 I fell in love instantly when I first came across Claire Garland’s Dot Pebbles knitting patterns. 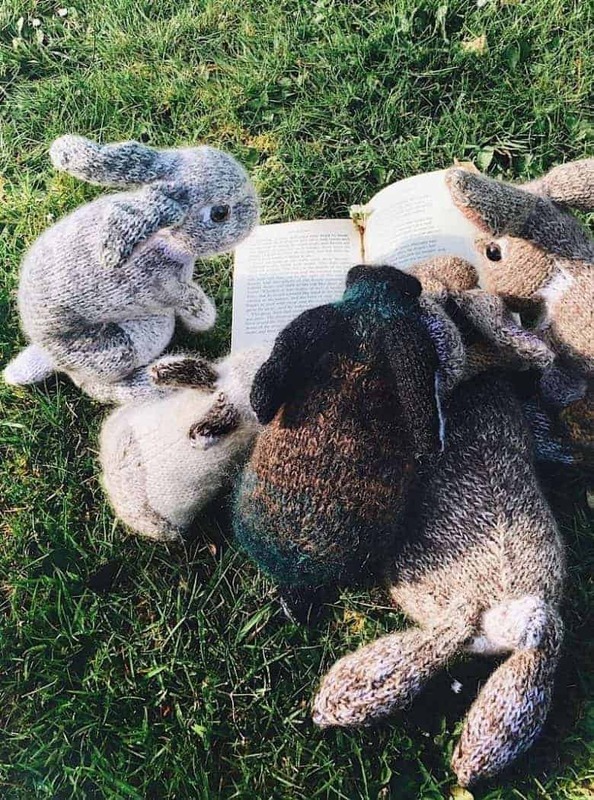 She has created a menagerie of knitted bunnies, mice, foxes, baby deer and other animals that really do tug at your heart strings. 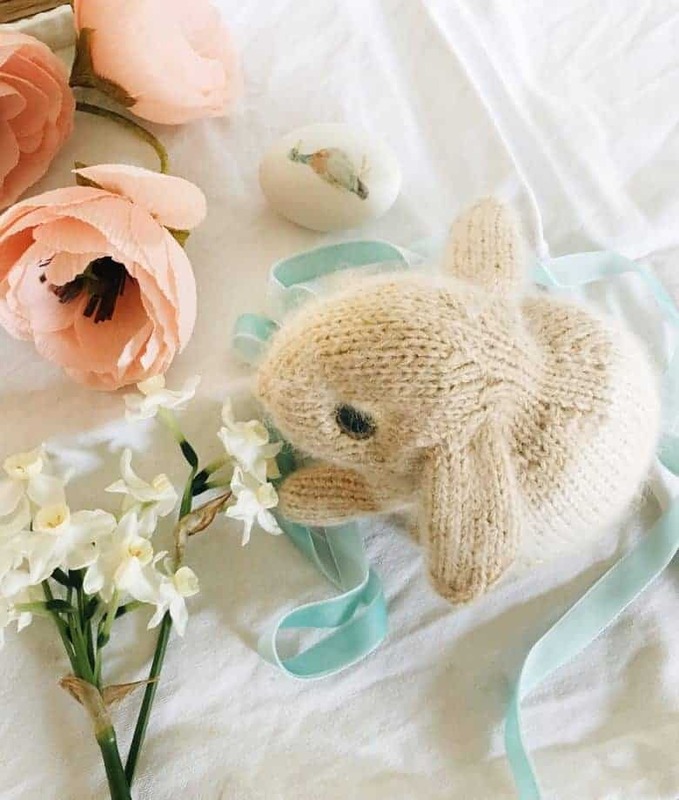 Claire somehow manages to capture the essential beauty and vulnerability of baby animals in her knitting. 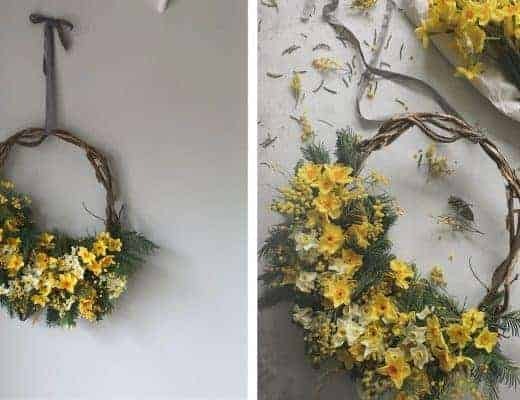 If you’re looking for a craft project to do over the Easter holidays, I have just the thing! 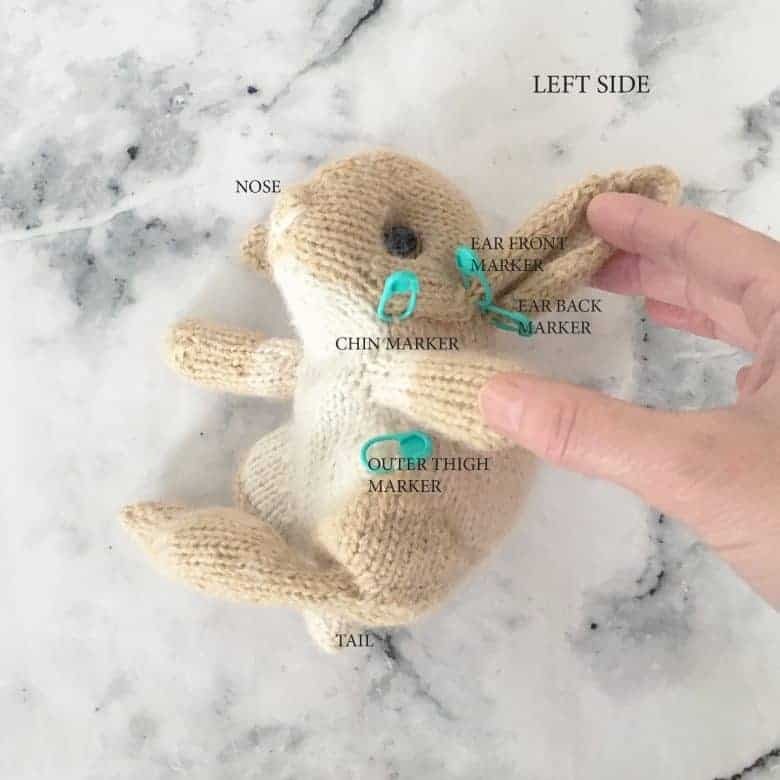 Claire has kindly shared her pattern to knit an Easter bunny with all the details you need to make one yourself. 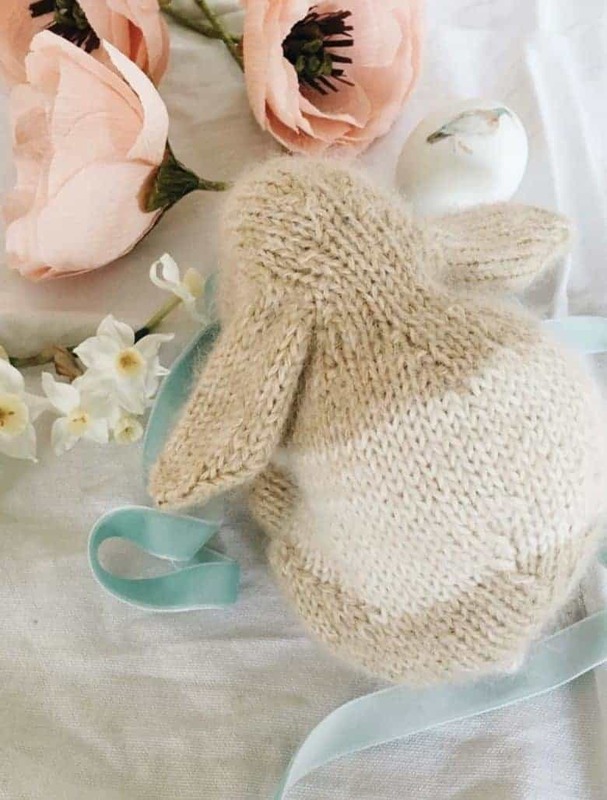 Or make a whole family of them and fill your home with adorable knitted Easter loveliness! 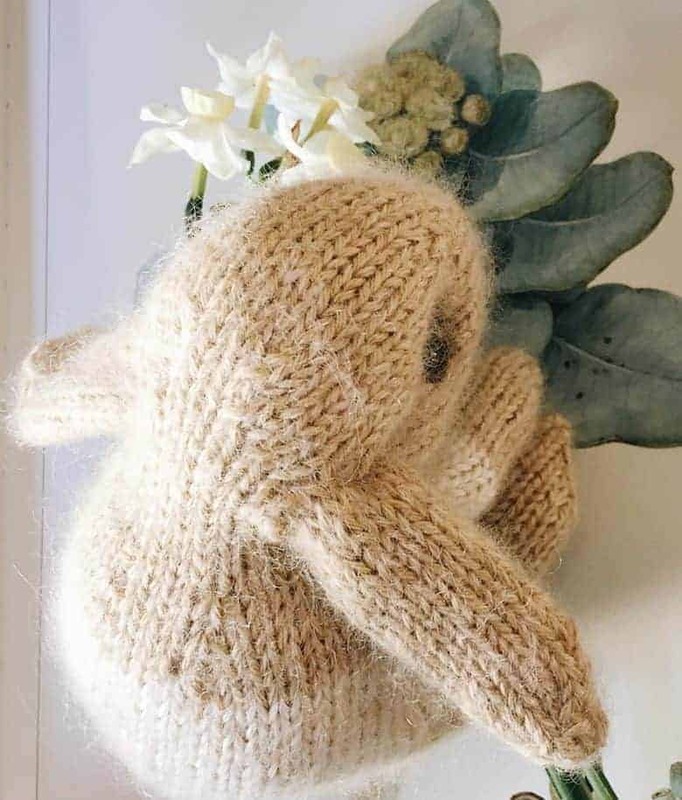 Simple to make, and probably the cutest baby bunny pattern out there, why not have a go yourself? I’d love to see how you get on. 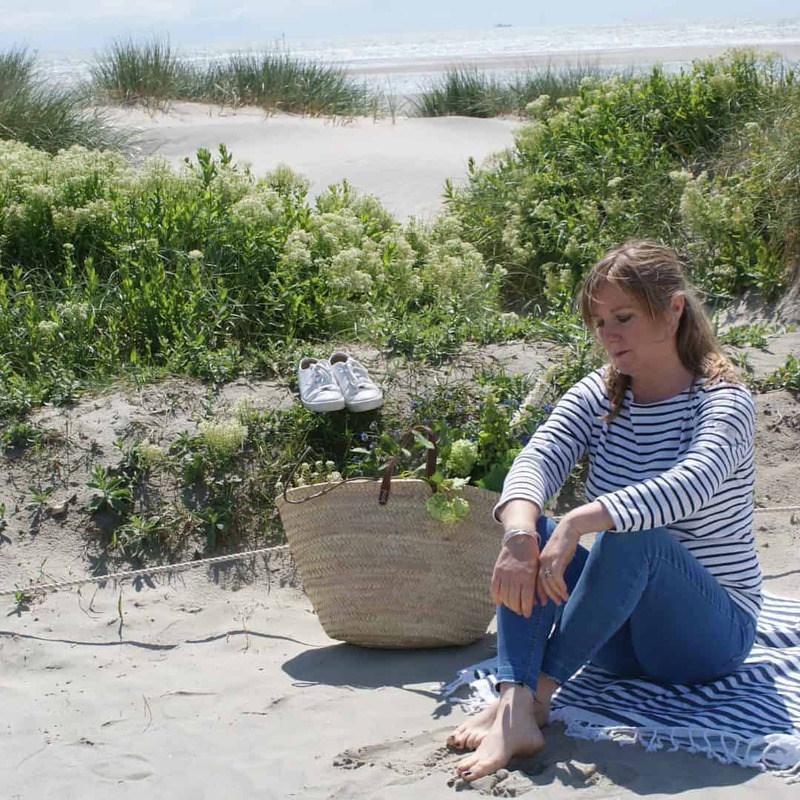 Definitely my number one tip – don’t over stuff! 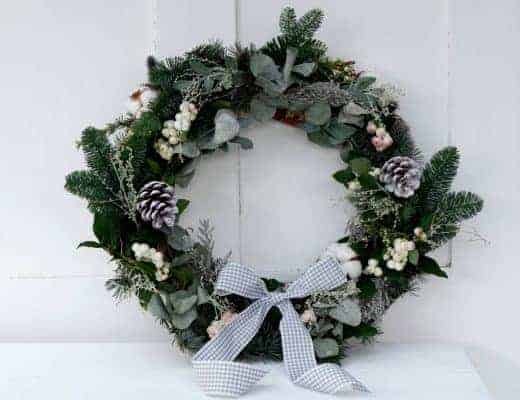 If you look at real bunnies they are quite loose-fleshy so try and emulate this with your stuffing – especially around the neck and chin and belly areas. Play around with the face squishing. 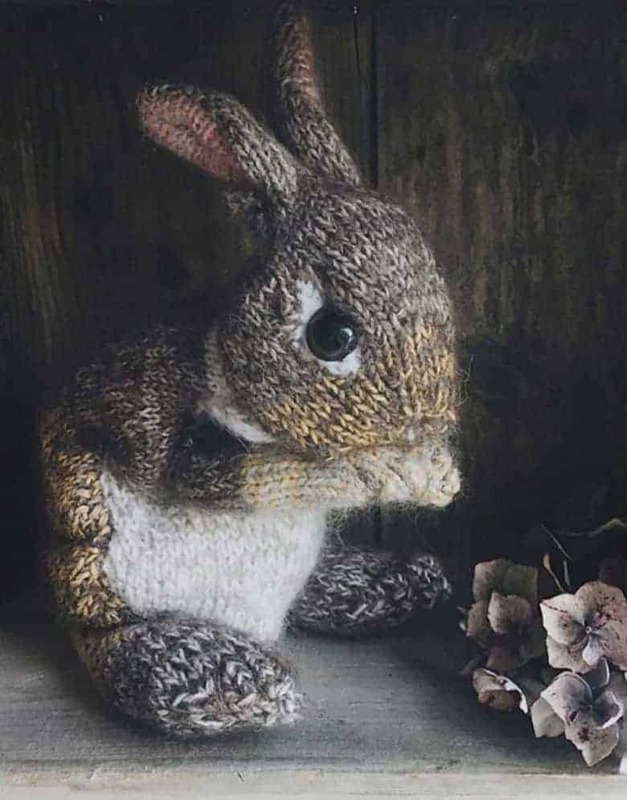 By that I mean use you fingers to indent the eyes, finding that correct bunny face look, before working the stitches that will create the eventual ‘face squish’. Then add in your eyes. I’ve just bought some hand-dyed yarn which has specks of brown within it which I can’t wait to try out with some mohair. Note: I love knitting with mohair but it’s not a suitable material for babies under one year old. 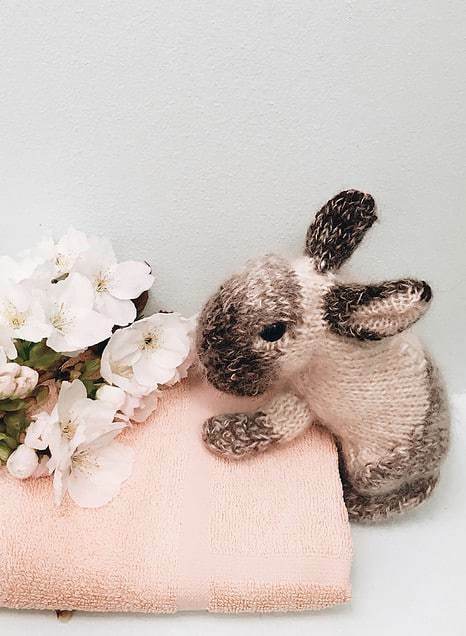 If you wanted ‘extra’ fluffiness and you’ve used pure wool or alpaca – or maybe cashmere – why not slightly ‘felt’ your bunny? 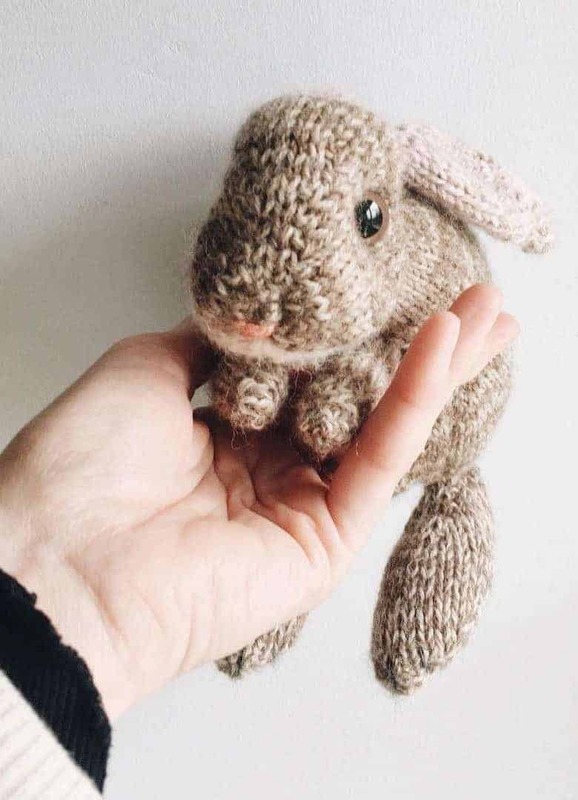 To do this: when the bunny is completed wash it in warm water with a tiny amount of liquid soap. Gently rub and agitate the toy by hand before rinsing out completely and rolling in a towel to remove excess water. Re-shape and sculpt then leave to dry away from direct heat. 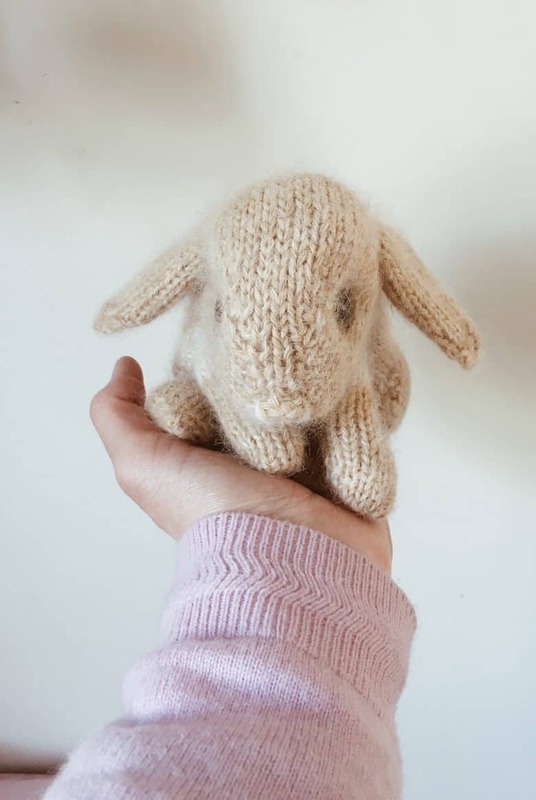 If you wanted to embroider some distinct markings on your (knitted) bunny then you could work some ‘duplicate stitch’, i.e. 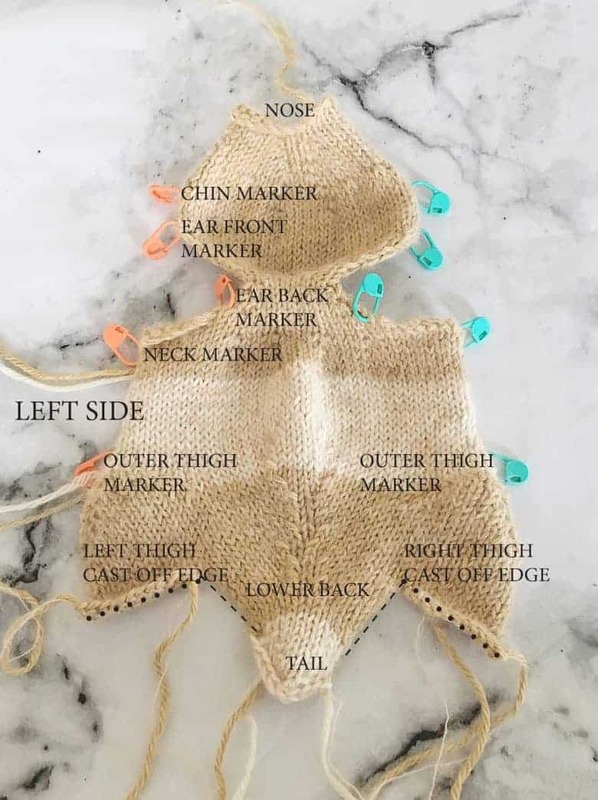 embroidering the ‘v’ shape to mirror the already knitted stitch in patches over the body or face. 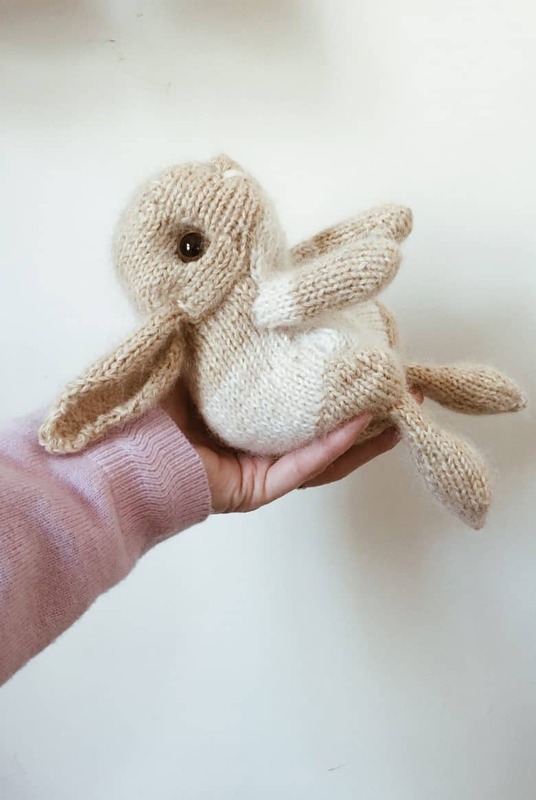 And finally, when you are finished, or if you want more inspiration – then follow along with my hashtag #IMadeThisRabbit on @dotpebbles_knits Instagram or my facebook page with the same hashtag name. 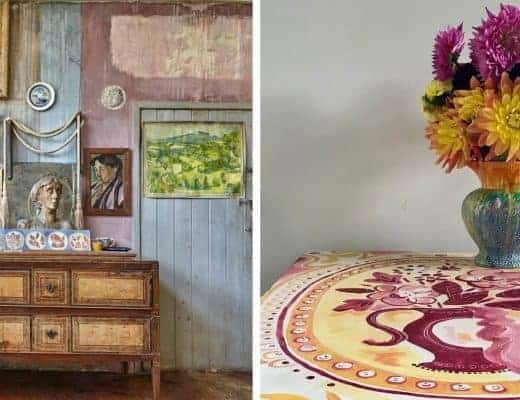 thanks to @funkyfibres and @lillinthemoon for these two lovely images saved to the hashtag. Where do I obtain this lovely pattern? 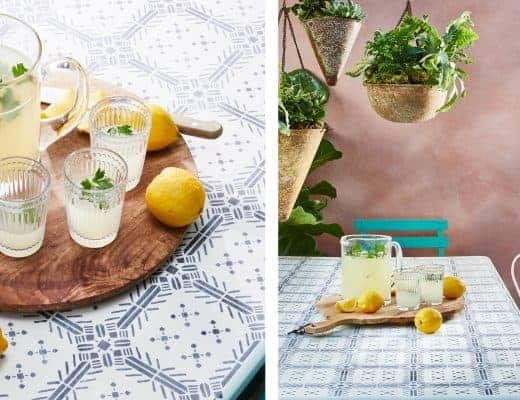 Unable to download this pattern using links provided. Can you please advise? Just tested it and working fine for me… can you get the PDF here? 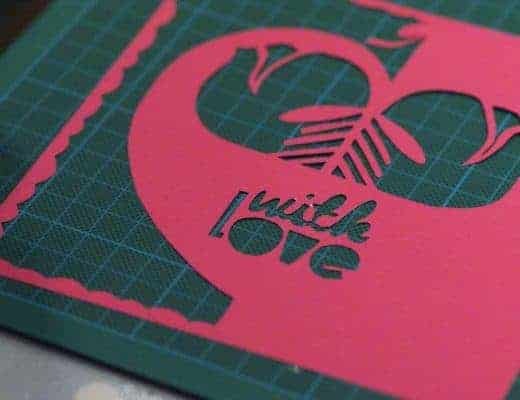 : https://www.frombritainwithlove.com/magazine/wp-content/uploads/2019/03/EasterBunny.pdf ? 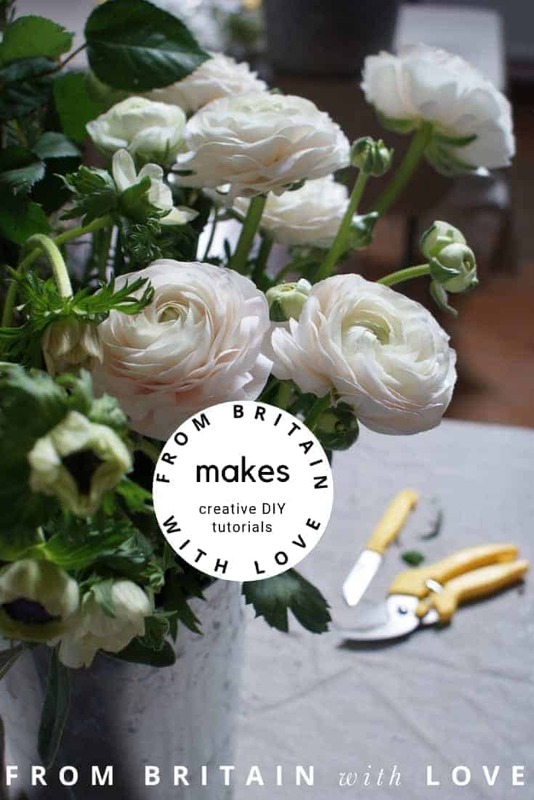 I’m so glad you like it – do share a photo if you make one! 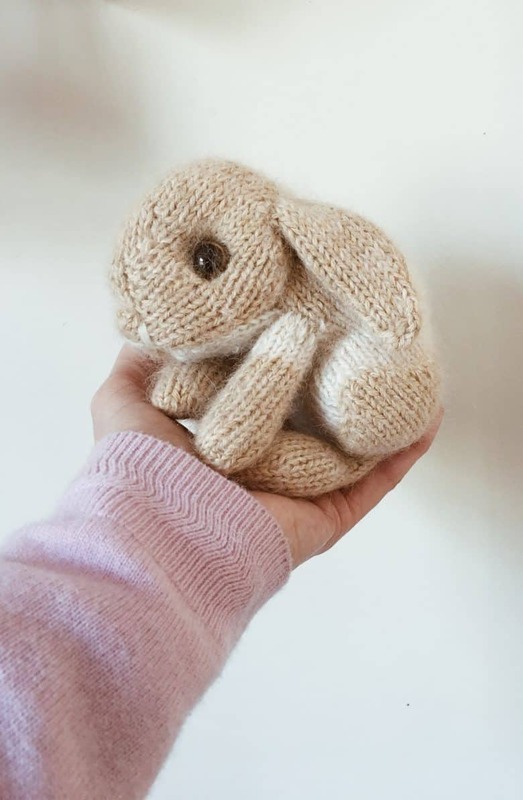 Thank you for sharing, I will knit it soon! Glad you like it – enjoy! Good morning, oh, I so wish I could knit. 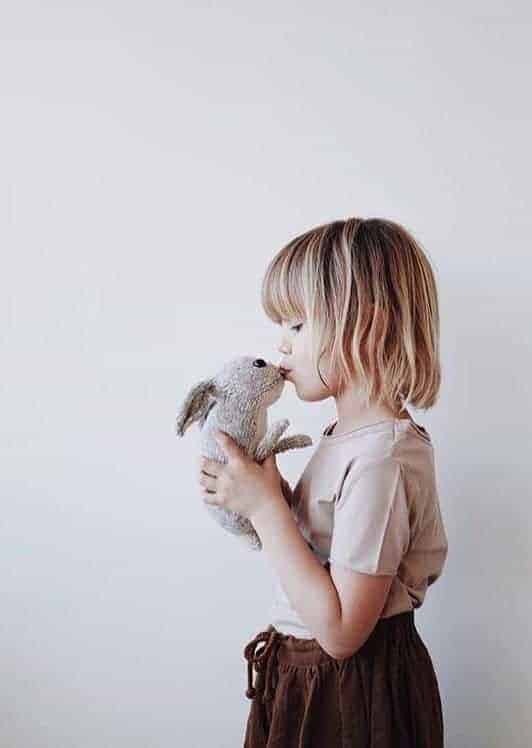 I’m in love with your bunnies. 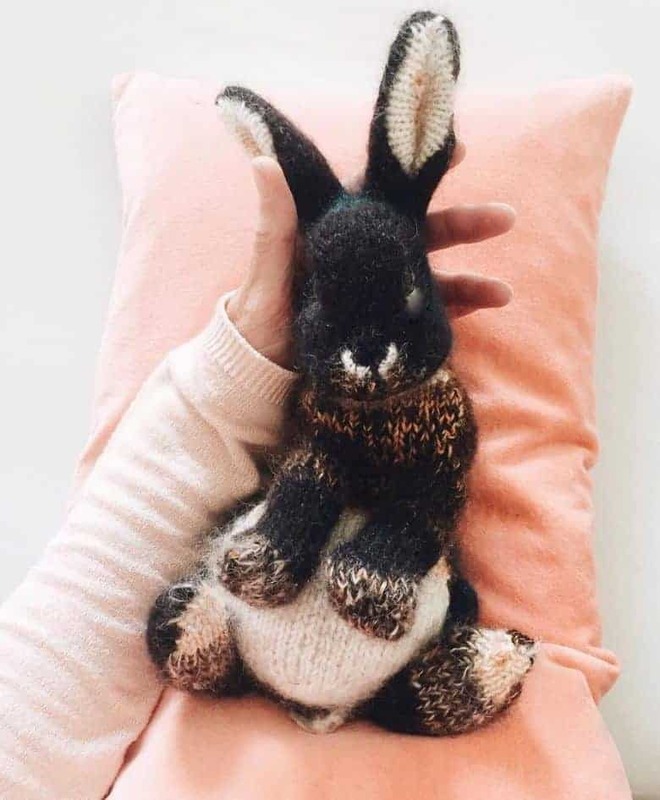 Do you also crochet the little creatures? So glad you love the bunnies too! 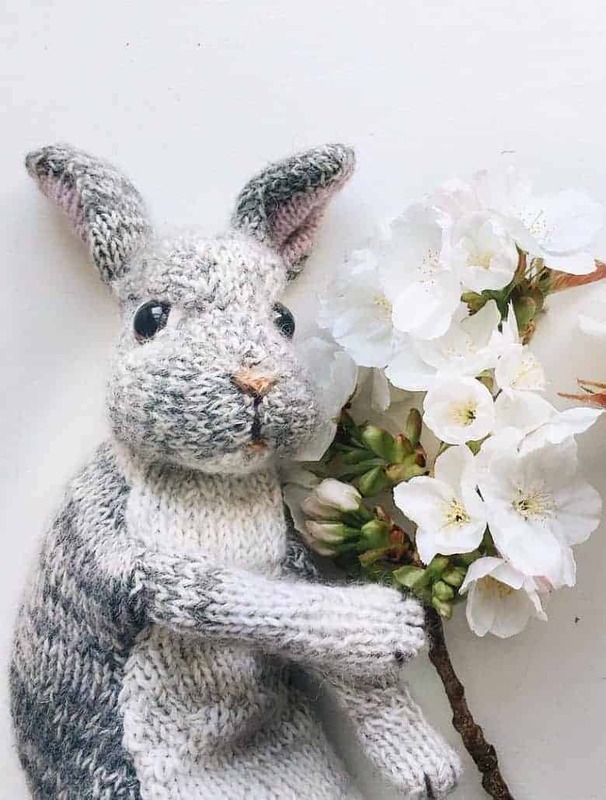 I’ve just had a look through Claire’s patterns on Ravelry and can’t see a crochet bunny. Maybe contact her directly via the links in her directory listing – links at top and bottom of this blog post. Good luck! 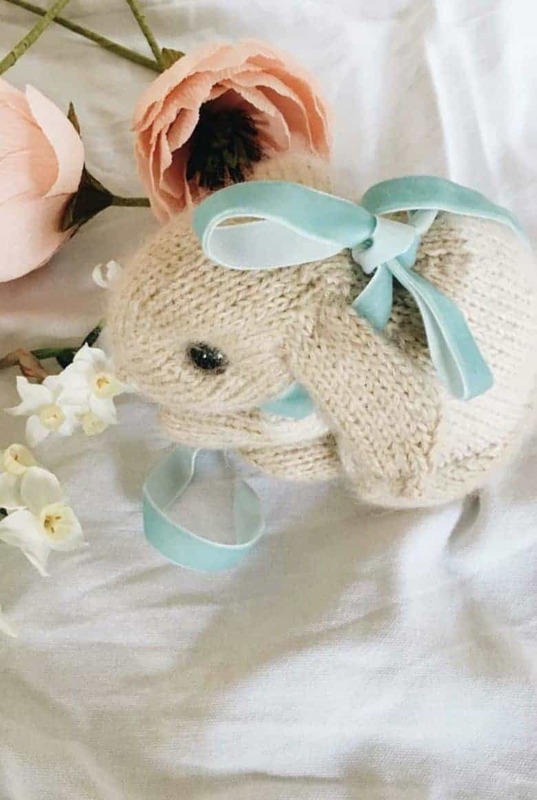 I am about to start making this adorable bunny, I was noticing the stitch markers you have. I just have the rings. Will they work or will they be stuck in the bunny? Do I need to be able to take the markers out of the piece? Hope that helps and good luck with your bunny! 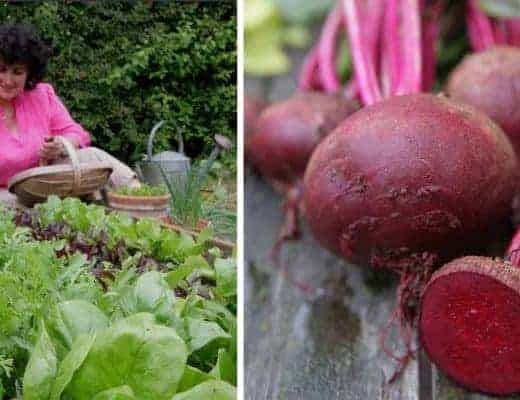 I have asked Claire your question and will post her answer here when we have it! 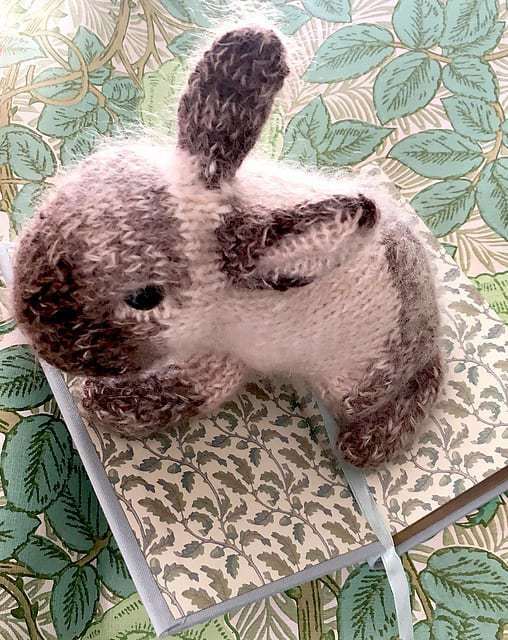 So excited for this little rabbit I’ve been knitting all day! I’m a little stuck at the 25 st pickup for belly how should the tail be? Do I pinch the tail together and keep picking up on both sides of the tail? 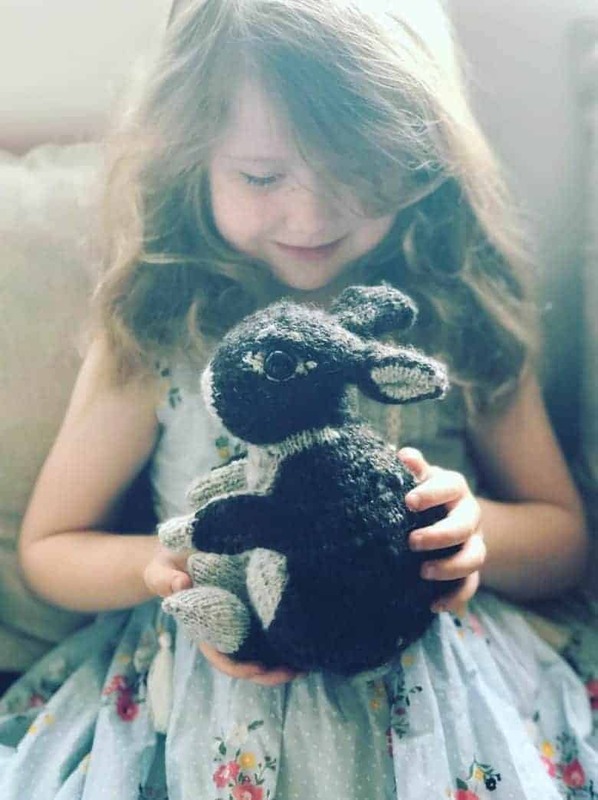 So glad you’re enjoying making this bunny! I have asked Claire about your question – will post here as soon as I hear back!